We present to you a wide range of lock, key and security systems with our professional services. We have experience in all the latest security technology and we understand the more basic, traditional key making and locks. Call 1st Choice Locksmith Orangeville whenever you need a locksmith to assist you in updating or repairing your security system, doorknobs, dead bolt locks and more. Any assignment is treated with professional care and proficiency. No project is too large or small for us, and we give you only the best, most advanced products available. We provide experience, advice, services and help you ensure the security of your commercial property. There are times when people need help when they are locked outside their car at night. 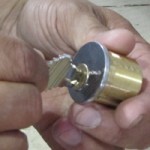 Our locksmiths will arrive with all their supplies and tools to complete an assignment professionally and efficiently. 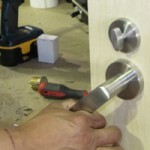 For any locksmith emergencies and regular service, call 1st Choice Locksmith Orangeville.